You Are About To Get Brand New Package Of Over 1,000 Top Quality Animated Web Graphics! Plus You Get Full Source Files!! Below, what catches your attention more, example 1 (no graphic), example 2 (static graphic), or example 3 (animated graphic)? Example 1: I want to guide your attention to this area of the page because it has an important point I want to make. Example 2: I want to guide your attention to this area of the page because it has an important point I want to make. Example 3: I want to guide your attention to this area of the page because it has an important point I want to make. I'm sure you agree, the third example catches attention much better than the first and second one. Of course you can bold your text, use headlines, or static graphics to grab attention. But simple animated elements work much better. You don't want to use these animated graphics all over your page. That will just distract your visitors, and defeat the whole purpose of these graphics, which is to grab attention and increase conversions. But if you use them sparingly, in one or two main places of your site, they WILL work, and they WILL grab your visitors attention and guide them to where you want them to go. I've seen some marketers use these graphics on their sites, and I know they grabbed my attention. And I've seen them used outside of "Internet Marketing", on more general sites. They work quite well, if done right, and used sparingly without overwhelming the visitor. But I've never seen a quality package of these graphics offered before, so I decided to create one myself. I've put together a collection of over 1,000 brand new, high quality, professional animated web graphics that you can simply copy and paste into your websites and blogs. These aren't some crazy over the top animations, but simple designs created with a simple purpose: to catch attention and guide visitors to a certain area of a page, without distracting and overwhelming the visitor. These graphics are all formatted nicely and ready to go. And I'm throwing in all the source files, so you can create your own variations of all of these graphics. No special software required (except for the source files). I almost Forgot to tell you about your Bonus Package. 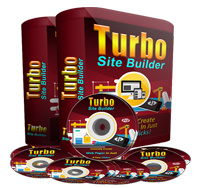 Turbo Site Builder Software "Personal Use License" Real Value "$2000"
No Monthly Fees. Yours FREE. Done for you a Package of over 100 most popular striped backgrounds that you can easily add to your sites and all other graphics. How much is is the animated web Graphic PRO is going to cost? But don't let the low price fool you. This is a top notch product that is easily worth hundreds of dollars in saved designer fees. And I just might raise the price in the future. So if you're interested, grab this awesome package right now for the low price above. Amazing one time investment of $10.95 for instant download access, even if it's 3am. Product download available in a .zip file. 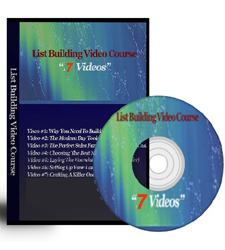 Except List building video course, you will get your Login details to watch the list building videos online. P.S. The graphics in this package come in transparent GIF format. You don't need any special software, just add them to your site like you would any other images. P.P.S. With this package you will also get the source PSD files for these graphics. To work with these source files you'll need Adobe Photoshop, Photoshop Elements or Adobe Image Ready (which comes with Photoshop). You don't need Photoshop for the GIF files, but you do for these source files. *Works on both PC and Mac"